Kessler Foundation | Community Options, Inc.
PRINCETON, NJ (November 9, 2015) — Community Options was awarded a $50,000 grant from Kessler Foundation to implement Autobility, a one-year project aimed at increasing transportation options for people with disabilities. Molly Buckwalter Fairfield, the Grant Writer who shepherded the application process, will be serving as the Autobility Project Coordinator. The main collaborator for this project is Uber, a technology company that connects riders and drivers through a mobile app. Community Options will work with Uber to explore how to improve access to transportation for individuals with disabilities so that they can become more self-sufficient. Autobility is evaluating implementation in Pittsburgh, Pennsylvania and Austin, Texas, where both Community Options and Uber have regional offices. The goal will be to streamline the process for individuals with disabilities to sign up for Uber and create avenues for human services agencies to contribute wheelchair accessible vehicles and drivers into the Uber system. Many people with disabilities have difficulty maintaining employment, going to the doctor’s office, and participating in activities of daily life due to a lack of transportation options. With the use of smart-phone technology to make ride arrangements, doing spontaneous things like picking up a gallon of milk will become a reality for millions of Americans with disabilities. Reliable transportation will allow individuals with disabilities to live and work more conveniently and comfortably. Stay tuned for more updates! For over 25 years, Community Options has developed housing and employment programs for people with disabilities. Community Options operates with a budget over $107 million and serves thousands of people with disabilities through 38 offices across 9 states. Providing advocacy assistance to empower people with disabilities, Community Options believes that all people –regardless of disability level – should live and work in the community with dignity, choice, and self‐determination. A registered PVO with USAID, Community Options is also the pioneer of innovative programs for people with disabilities in the Middle East, Russia, and South America. Please visit our website at www.comop.org. Transitioning a young person with IDD from the school system requires a holistic approach. It takes a team effort to achieve success. Parents and educators can depend on Community Options to be part of that team to help build a bridge between school and adult life for the child with IDD. Our approach is always person-centered and respectful of an individuals’ needs, talents, and goals. Employment is an important part of life for most people. Transitioning from youth to adulthood is difficult. Through STEP, Community Options is assisting students in identifying career goals through a range of experiences that can lead to meaningful community-based employment. STEP provides students with real world, hands-on training. We assist school districts by offering a customized program that facilitates the successful implementation of required transition services. Students are placed in a job rotation, where they get to sample various community-based work experiences while receiving job skill development, and job placement assistance. We currently operate STEP in New Jersey, South Carolina, and Pennsylvania. September started a new year for NJ STEP with the first rotation of work underway for 40 participants. We have new partnerships with local businesses, such as Merwick Care & Rehab, the Plainsboro Public Library, Sports Authority, and Walgreens. In addition, the STEP program has expanded to the Wayne area in Passaic County where it is set to begin services in late September. STEP SC is pleased to recognize Supported Employment Coordinator, Anthony Thompson and a STEP participant for being invited to speak about the STEP program before the Commissioner’s Board Meeting of the Department of Disabilities and Special Needs. We are also proud to congratulate two winners from the Mayor’s Committee on Employment for Persons with Disabilities: Tyler, a first year STEP participant, who was awarded the Employee Achievement Award and Kroger, a participating business, was presented with the Employer of the Year Award. The Pittsburgh STEP program has partnered with Kane Regional Center Nursing Home, which is proving to be very rewarding for participants in the STEP program and the residents. 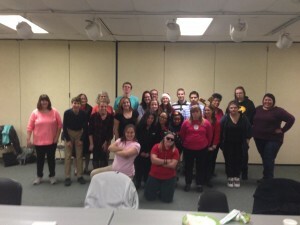 This partnership puts smiles on the faces of Kane residents and gives STEP participants a chance to engage in a rewarding and positive social environment, the ability to learn new skills, and make a difference in the Kane community. Community Options is continuously seeking to expand its STEP program to new regions so that students transitioning out of school may find meaningful and engaging job skills training that can lead to employment opportunities they enjoy. 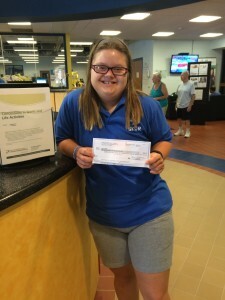 Community Options was awarded a $50,000 grant from Kessler Foundation to implement Autobility, a one year project aimed at increasing transportation options for people with disabilities. Molly Buckwalter Fairfield, the Grant Writer who shepherded the application process, will be serving as the Autobility Project Coordinator. Several years ago, the Community Options Amarillo office decided to create a barrier-free home environment that provided the best setting to encourage anyone with any range of disability to engage in daily living routines without architectural impediment. By providing wider hallways and open floor plans, a barrier-free home enables people with diverse disabilities to live in an environment that is best suited to their needs. These houses are in residential neighborhoods and look like every other house in the community. The Amarillo Barrier-Free Home Project was developed by Texas, Arizona and New Mexico Regional VP Chandy Davis, who at the time was the Executive Director of the Amarillo office. The first home opened in 2010, and its success continues to help people of all ranges of abilities. In 2011, the second house opened with only minor modifications that were learned from the development of the first home. In August 2014, the third house was opened and as of February 2015, all three houses are full and supporting 12 individuals. These houses have been unique in the Amarillo area and are very popular with guardians and state representatives, so much so that we are expanding the project to other regions in Texas, such as Corpus Christi. 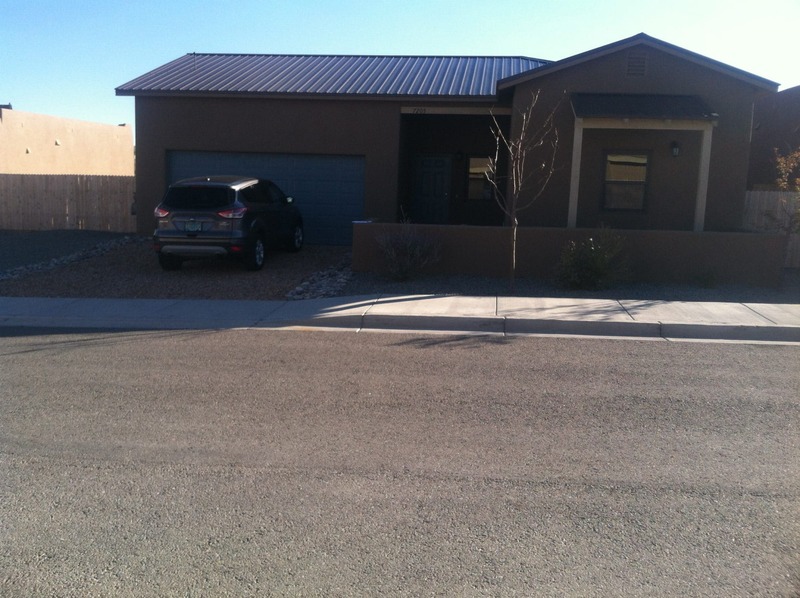 Four individuals recently moved into their new home in Santa Fe. 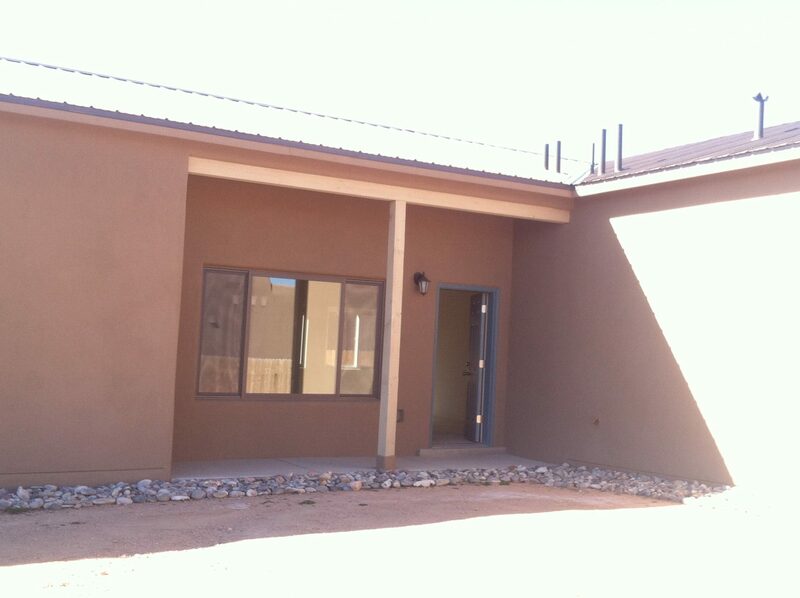 The four-bedroom house, located at 7205 Rio del Luna, is the first house owned by Community Options in Santa Fe. The residents have settled in and are all very proud of their new home. “The first time our residents saw this house, they walked into a home, not just a house with empty rooms,” said Santa Fe Executive Director Bill Wagner. This transition was made easier thanks to the generous contributions of time and resources from our former Community Options Board Chairman Tim O’Donoghue and his wife Kate Flanagan. Tim’s skills and Kate’s decorating talents allowed them to create an environment where one could walk in and feel at home immediately. The transition was completed after staff, volunteers, and a U-Haul truck spent the day moving each individual and their possessions into their new home. Having endured multiple moves over the years, each individual finally has a home where they are happy and comfortable for as long as they want. Esther, mother of one of our 41-year-old residents, phoned Bill Wagner that day to say, “I was overcome with tears of joy knowing that my son has a place like that to call home with staff that cares so much for him.” We continue to work throughout all our regions to make such heartwarming stories a reality for all families looking for housing for their loved ones. 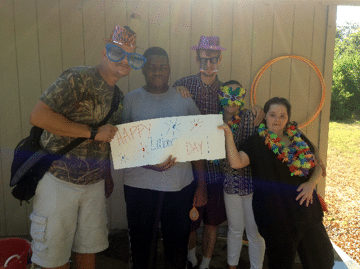 On September 2, 2015, Community Options received final approval to provide respite, attendant care, and individual supported employment services in Arizona. Wendy Mahan moved to Tucson in September 2014 to start Community Options Arizona as Executive Director. She has worked tirelessly over the last year to build connections, develop the program, and get approval from the state. Since obtaining final approval, Wendy has already received 14 referral calls from the state. Wendy anticipates that she will begin serving the first individuals in October. We are excited to begin providing services to individuals with disabilities in Arizona and have them join the Community Options family! Leadership Matters Conference Coming in October! This year’s conference is focused on leadership. Just as the leaders of our country have done, we gather this year at the historic Union League in Philadelphia to come together united in the commitment to advocate for people with disabilities, to be their protectors of freedom. As leaders, it is important to know the history, how did we get where we are now. How do we take the knowledge of the past and keep moving forward? Community Options, Inc. invites you to join us for our annual conference to hear from national recognized speakers on topics including Leadership, Macro Change and Social Capital. Community Options’ Executive Director, Nick High, is working hard at increasing our housing and day program services to individuals with disabilities in the Philadelphia region. Nick began working with Community Options as a direct support professional immediately after graduating from Temple University in 2011. He worked in the supported living department which entailed providing supports to individuals living in their own apartments and assisting them to maximize their independence. In less than a year, Nick was promoted to Program Specialist over the supported living and supported employment departments. He spearheaded quality assurance initiatives which strengthened Community Options’ relationship with the counties throughout the region. Additionally, in December of 2011, Nick oversaw the development of the community based day program, which was launched as an alternative to center based day programs as many of the individuals in the region’s homes were deemed “too challenging” for other agency’s day programs. In 2012, Nick was promoted to Quality Assurance Coordinator where he became responsible for ensuring quality programming via auditing and conducting staff trainings. In this role he worked to ensure all records and systems were up to par. Nick also contributed to the opening of the Lehigh and York offices in Pennsylvania. In 2013, Nick was promoted to Assistant Executive Director over the southeastern PA region where operations had doubled in size. The Southeastern PA region opened, in 2014, their new office in Northeast Philadelphia in order to support the tremendous growth happening in the region. By late 2014 one new home was being opened per month and the region was admitting one new supported living individual per month. 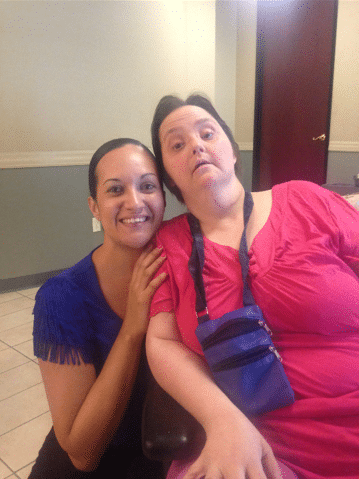 While much of the focus often falls on the growth of the residential program in Southeastern PA, the supported living program tripled in size since 2011. In April of 2015, Nick was officially promoted to Executive Director over the Southeastern PA region. 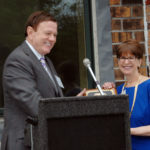 The region’s 20th home and 40th residential site overall including supported living, was opened in August. This past September the Southeastern PA region opened a second satellite office in King of Prussia, with the first being in Langhorne, to better support our homes in Montgomery County. According to Nick, “Our growth is really due to two factors: successful audits and a willingness to take challenging individuals. Many of our new admissions are people who other agencies declined to support and we have welcomed these individuals in with open arms. Our whole region is proud to be the open-minded provider that gives people with disabilities a chance regardless of their history. We are able to support these individuals because we have such great staff and managers that buy into this philosophy of giving everyone a chance”. Community Options understands that technology drives business, which in turn improves the quality of services we provide to the individuals we serve. This year, Community Options has launched Office365 and Therap, two cloud based technology applications that are instrumental to our organization’s ongoing success. Office365 has allowed us to provide greater service through seamless collaboration and communication among all Community Options’ employees. Office365 has enabled staff to work more effectively and facilitate quality services for those we support. Therap, which is an online application suite for documenting, reporting, communicating, and billing, will significantly improve the quality of services provided and streamline the paperwork for staff so that they can spend more time supporting individuals and helping them meet their goals. Michael Lewinsky has joined Community Options as our IT Director who will be overseeing such technology initiatives to strengthen our regional offices’ operations so that staff can spend more time where it matters most, with the individuals we serve. Community Options goes above and beyond to promote the health of the individuals we support. Improving quality of life is our focus. Four years ago, we recognized a need for nutritional services. This value added service is not a requirement, rather a service that we feel is vital to increase well-being. During her tenure at COI as Dietitian, Cynthia Mlodzienski has implemented many nutrition education initiatives. Cynthia begins with a nutrition assessment and uses food models, measuring cups, and available foods in the home to make her education sessions fun. She plans meals for the homes and compiles grocery lists of healthy foods based on individual preferences and special dietary needs. Pennsylvania’s Regional Vice President Brian Dion adds, “Meal time is the most important time for individuals. They look forward to their nutritious three meals a day, and by doing this we add to their quality of life.” Here at COI we feel we should do something extra and this is one example of how we can provide new and innovative services to the individuals we serve. Daniel Cottrell is one of our many individuals we serve in the Poconos Region who has experienced significant personal growth since moving into one of our homes. Daniel Cottrell is one of our many individuals we serve in the Poconos Region who has experienced significant personal growth since moving into one of our homes. 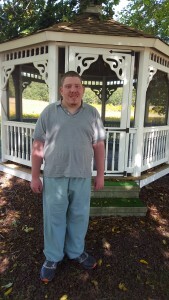 When Daniel first came to us, he was very quiet, kept to himself, and had severe verbal and physical behaviors. Our Luzerne team worked hard to get Daniel the guidance and support he needed to feel safe and loved so that he could work on his social skills. Daniel’s socialization skills have improved immensely, which resulted in Daniel going out into his community more frequently. Now that Daniel has been able to spend more time in the community, his attitude as well as his behaviors improved greatly. Today Daniel has transferred to a new home for a chance to continue his positive growth. Daniel is an amazing individual and is always striving to work on his goals in his home as well as the community. Daniel enjoys helping his roommate in his new home and is starting to show interest in obtaining a job or volunteer opportunity in the health care field. Daniel has made tremendous progress with the help of Community Options, and still continues to grow every day he is with us. Monica Mendiola, the new Executive Director of San Antonio, brings high energy, passion, and enthusiasm to Community Options. Although Monica is new to her Executive Director role, she has been with Community Options since 2014. During this time she has progressed from Quality Assurance Director to the Program Director for San Antonio residential programs, to her current leadership role. What is the secret to her success? Monica is deeply committed to serving individuals with disabilities which fuels her tremendous energy and enthusiasm. Monica is a born and raised Texan from Bruni, a small town in South Texas. She received a B.S. in Fitness and Sports with a specialization in Special Education from Texas A&M International University. 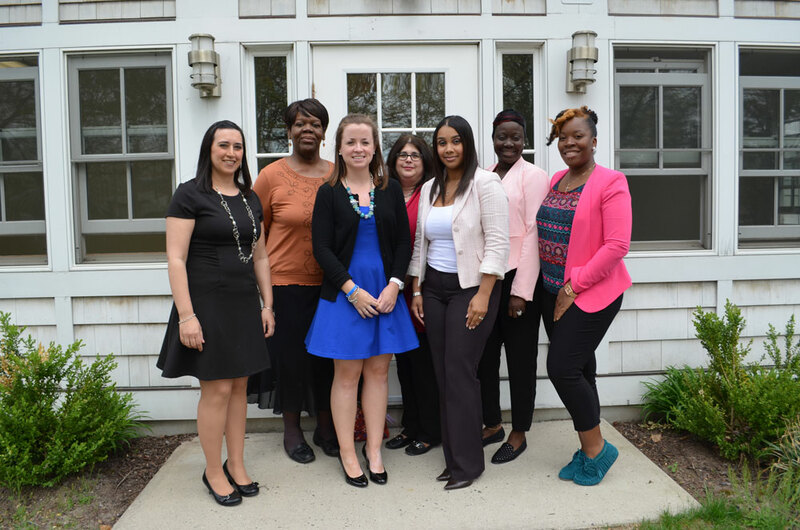 Monica’s professional experience includes educational programming for students with disabilities. She led regional efforts to implement a tutoring program for low income families with children with special needs. Monica’s strategic vision for San Antonio residential, employment, and day programs incorporates her strong background in educational programming. San Antonio programs integrate rich, varied opportunities for learning including social activities, field trips to museums and libraries, and cooking classes. Monica is resourceful and uses staff talent to make the budget stretch. Monica has shown us that passion is infectious! Her commitment energizes and motivates her staff to keep giving. San Antonio staff often volunteer additional time and donate items for individuals we serve. We are excited to see where Monica’s passion will take us next! PRINCETON — With much excitement, Community Options Enterprises recently opened the newest Daily Plan It (DPI), the second location in Princeton. The space features 12 luxury offices to rent and support up to 8 people with disabilities. The Daily Plan It is a complete office, conference and copy center that offers furnished office rental space or virtual tenancy to a variety of businesses. Some of the services provided to the tenants include professional receptionist services, clerical support, high-speed color copying and on-site concierge services including dry cleaning pickup and delivery. “We are incredibly excited to supplement and enhance The Daily Plan It’s offerings in the office and conference center market in the Princeton area. With a state of the art conference room and incredibly high quality office space, the Daily Plan It brand will be able to continue to support the business community with top notch professional services at an affordable cost,” said Steven Verba, Managing Director of Community Options Enterprises. Every year since 1991, Community Options presents a citizen with the Betty Pendler award. This year’s recipient is Elaine Katz, the Senior Vice President of Grants and Communications for the Kessler Foundation. May 15, 2015, Elaine Katz, senior vice president of grants and communications for the Kessler Foundation, received the Betty Pendler Award from Community Options Inc.
from L to R: Stefanie Rinaldi, Wendy Williams, Meghan Hunter, Deborah Napoleon, Teresa Snyder, Awee Taylor and Keaira Askew of Community Options gather outside Community Options’ new STEP building. The building previously belonged to notable local newspaper, Town Topics. Shortly after Town Topics moved out of 305 Witherspoon Street, the building it had occupied since 2007, local residents wondered what would be taking its place. That question was answered last week when the staff of the non-profit Community Options, Inc. began setting up their offices there. 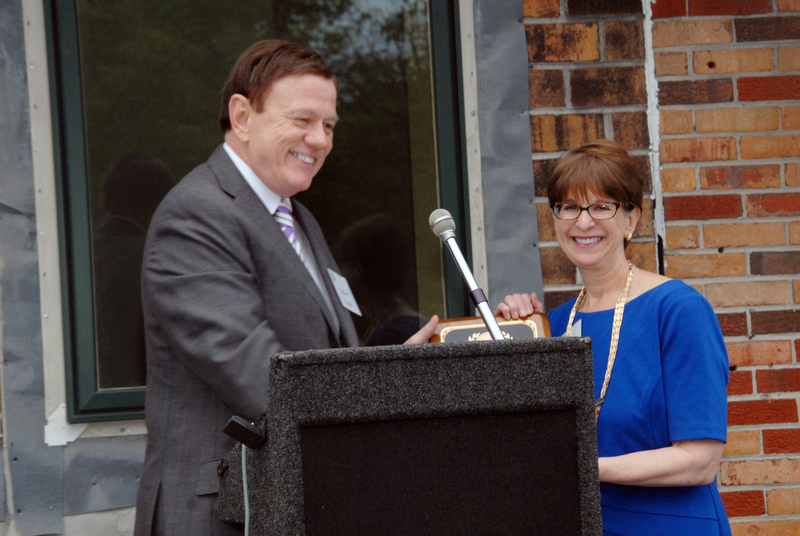 The building will house Community Options’ expanding School-to-Employment Program (STEP). For 25 years, the non-profit organization has worked to develop housing and employment programs for people with disabilities. Its guiding philosophy is that all people — regardless of disability level — should live and work in the community with dignity, choice, and self-determination. As to meeting obstacles along the way? “Everyone has obstacles that we have to figure out how to deal with; we can’t put ourselves in a bubble,” he said. Before acquiring its current building, Community Options had offices in the Daily Plan It, which was, said Mr. Stack, “bursting at the seams.” The new location provides space for the STEP program and for staff from its Mercer County office. “We hope that our local presence on Witherspoon Street will give parents of children with disabilities the vision that their son or daughter can in fact have a job just like any other student who is close to finishing school regardless of the fact that they have disabilities,” said Mr. Stack. Thanks in part to a grant by the Kessler Foundation, STEP was launched in New Jersey in 2008 in response to the youth employment rate for individuals with disabilities. The job training/transition program serves high school students and young adults with special needs, through real world, hands-on training. The goal is to improve future opportunities for competitive employment and/or post-secondary education. In recognition of the contribution made to STEP by the Kessler Foundation, Elaine Katz will receive the Community Options Betty Pendler Award this Friday, May 15, at the organization’s national headquarters on Farber Road in Princeton. “Elaine has been tireless in getting employment for people with disabilities and has given us our first grant for STEP,” said Mr. Stack. “Most people without disabilities find training for jobs as teens during high school but teenagers with disabilities rarely have that chance,” explained Mr. Stack. “That’s where STEP comes in, with unpaid internships in a variety of jobs. So far, the non-profit organization is working with the University Medical Center of Princeton at Plainsboro, the Robert Wood Johnson hospital, and others, offering experience in food service, maintenance, custodial, inventory, and other work. “One of our teenagers loves to work in patient transport, taking patients from X-Ray to their hospital room or from there to the hospital’s main lobby, for example,” said Mr. Stack. “We find that if we place a person in a job that is a good match for them, it works well and so far we’ve had a 90 percent success rate.” That means that 90 percent of the time, the intern has been hired into a paid job. STEP places students aged between 16 and 19, who are on the autism spectrum or have some intellectual or physical disability, filling a gap in what is available from government programs such as ARC, which, according to Mr. Stack, has a waiting list of well over 6,000. Ms. Rinaldi explained how the program works. “For our student interns we hire coaches; each intern is paired with a paid coach who does not have a disability and who works alongside the intern in the job, until they are able to do it on their own. At that point the coach is no longer needed and can ‘fade.’ We call it ‘fading,’” she said, adding that Community Options is always looking to hire coaches. “If there are people in the area who want to work with Community Options as coaches, they should get in touch and this is a great place to get work experience; we have hundreds of such part-time per diem employees; some are retired, some are college graduates looking for a stepping stone, often in social work, education and psychology. Community Options was founded by Mr. Stack in 1989, some years after he moved to Princeton in 1981. “I had been working with kids with disabilities for a long time but when the place I was working for went out of business, I realized that a non-profit group was needed that would follow a business model,” said Mr. Stack. Since then, the organization has grown to include 275 group homes nationwide, 104 in New Jersey, including 17 in Mercer County. It now serves thousands of people with disabilities through 38 offices across 9 states, including Arizona, Kentucky, New Jersey, New Mexico, New York, Pennsylvania and South Carolina. With an operating budget of $107 million, it currently has some 3600 employees nationwide, at least 1,000 in New Jersey, and 30 in Princeton. Its funding comes from private sector donations as well as from state and federal government. Locally, Community Options operates a home built from the ground up in Hopewell and a renovated home on Harrison Street in Princeton for persons who use wheelchairs. For more information, visit: www.comop.org.